Marc Michael Epstein has been teaching at Vassar since 1992, and currently serves as Director of Jewish Studies. He is a graduate of Oberlin College, received the PhD at Yale University, and did much of his graduate research at the Hebrew University in Jerusalem. He has written on various topics in visual and material culture produced by, for, and about Jews. His most recent book, Skies Of Parchment, Seas of Ink: Jewish Illuminated Manuscripts (Princeton, 2015) was the winner of the National Jewish Book Award. His The Medieval Haggadah: Art, Narrative, and Religious Imagination (Yale, 2011) was selected by the London Times Literary Supplement as one of the best books of 2011. He is currently completing a new book, People of the Image: Jews & Art. During the 80s, Epstein was Director of the Hebrew Books and Manuscripts division of Sotheby’s Judaica department, and continues to serve as consultant to various libraries, auction houses, museums and private collectors throughout the world, among them the Herbert C. and Eileen Bernard Museum at Temple Emanu-El in New York City, for which he curated the inaugural exhibition. Marc Epstein, head of Jewish Studies at Vassar, is quoted in a Forward article on high-quality silk tallits, or prayer shawls. 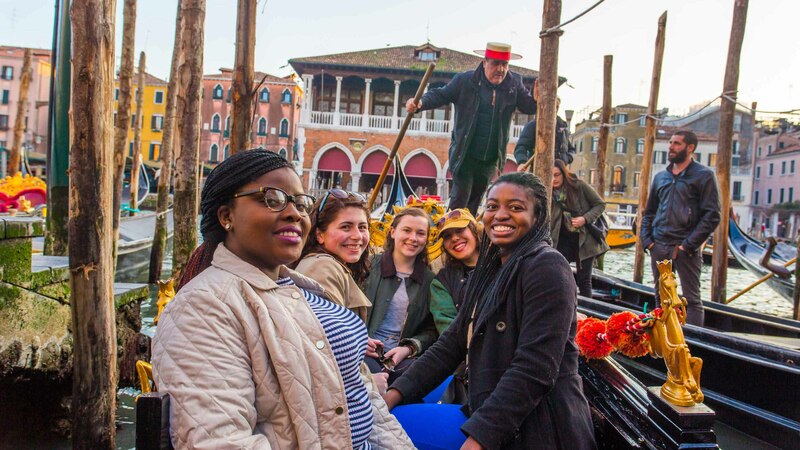 Professor of Religion Marc Epstein and students in his course, Venice, the Jews, and the World, spent Spring Break exploring the Venetian Ghetto where Jews were required to live from 1516 until 1797 when they were liberated by Napoleon’s army.